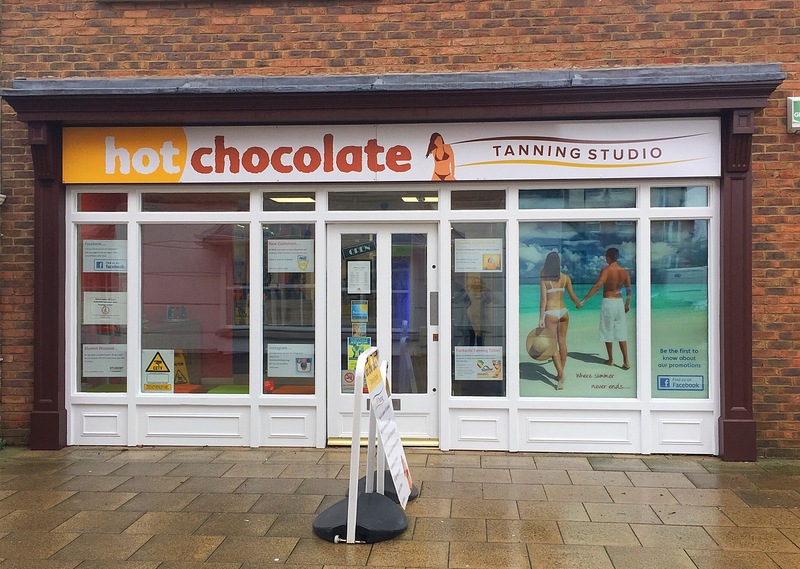 Hot Chocolate has been established for over 14 years and is situated on the Carlton Centre in the North of Lincoln. We have 11 sunbeds; 10 stand-up and 1 laydown and cater for all level tanners. All our tanning units are serviced and maintain to the highest standard so our customers are guaranteed fantastic results, every time you tan. Our friendly staff are fully trained and are always happy to help. We provide convenient tanning with free parking outside, 7 days a week. To achieve deeper, darker, longer lasting results we recommend that customers always use a tanning lotion before their tanning session. It is essential for your skin to be moisturised before you tan otherwise your skin will reflect up to 60% of the UV light. We offer a wide range of tanning lotions to suit all skin types including tingle, bronzers, maximisers and accelerators. Our fully trained staff are happy to advise on a lotion to suit your skin type and requirements. Me and my two friends have never been on the sunbeds before, hot chocolate was recommended by people on the “tour probably from Lincoln” Facebook site. The lady was so cheery and helpful, despite the salon getting super busy whilst we were there! Great customer service, she was happy to answer all our questions, the salon was lovely and clean, really happy we chose to come to you guys ???? I recently bought a course here as it was near my work. The staff are friendly and the salon was nice and clean. I was personally disappointed to see they only had x1 lay down sunbed. I go on for 12 minutes usually and with low blood pressure I struggle to stand for that long in a sun bed. However if you go on the stand up's they have plenty for you here! The beds are nice and clean with music playing which is always pleasant! However, I chose the High Intensity beds but they were no where near as strong as other beds I've previously been on at salons which are usually called ''fast tan''. I was also surprised that they charge you for eye protection. Even the little disposable foil eye protectors were 20p each which isn't much I know, but the principle that they charge for these is strange. Eye protection is so important and usually sunbed salons give these out for free! So this baffled me a little bit. No major complaints though, it's an ok salon and at least the staff are nice and the salon is clean, there's nothing worse than an unsanitary salon!! Lovely lady in today very helpful. I really think there NEEDS to be another lay down or two! Really let’s it down that you have to generally book cos it’s so popular as quite often myself and others pop in when I get a spare ten minutes so are unable to book. Also other tanning studios I’ve been to I’ve never struggles to get on a lie down sunbed. A very clean and friendly place. Staff are always happy to greet. Left a boots bag with approximately £40 worth of goods. Messaged the store out of hours, they responded quickly. They had put the bag safe and I collected the following day. I have never been on a sun bed before so this was a first for me. Amazing experience, very clean and the staff were so friendly, knowledgeable and approachable. Loved this place and love those girls ??? ?